From Facebook’s founder Mark Zuckerberg, to Twitter’s CEO Jack Dorsey, it’s hard to find tech giants who aren’t interested in making 360 video easier to view, create and share. Virtual reality is an empathy machine. It’s an opportunity to put the viewer in someone else’s shoes and create an active experience for them that offers a fresh take on traditional messaging. It’s immersive, creating an experience for supporters. Here are four charities innovating with 360 video. Supported by viral video agency Don’t Panic, The National Autistic Society created this compelling 360 video for its Too Much Information campaign to raise understanding of autism. The video emphasises the distress caused by bright lights and sounds to mimic the sensory overload experience by an autistic child. Think: could VR help supporters better understand your charity’s cause and issue? The RNLI has been experimenting with VR in lots of forms and was one of the first charities to publish a 360 video. The charity uses immersive content to create an emotional connection and tap into the what supporters want to do when they visit them Luke Williams told us at our content marketing conference in 2016. Think: do you work visually compelling environments? Cancer Research took the opportunity to showcase its 360 video of a research lab at a series of events, such as charity runs and open days, giving supporters a chance see up close what their donations go to. Think: have you got content you could showcase at a face-to-face event? As part of the #welisten campaign, Samaritans created a 360 video to get people thinking about the difference between listening to and hearing peoples’ problems. “We chose to shoot in 360 because it represents the real experience of engaging with someone one-to-one much more closely than a static video,” Kimberley Anderson, the former head of digital communications at Samaritans, told Digiday. Think: would a VR video enhance the experience soon? 360 video vs VR – Rob says people often use 360 video and VR interchangeably. If we’re being formal then virtual reality allows users to interact with the content (active VR) and 360 video allows users to view a video in 360 but not interact with it (passive VR). The language is still evolving. 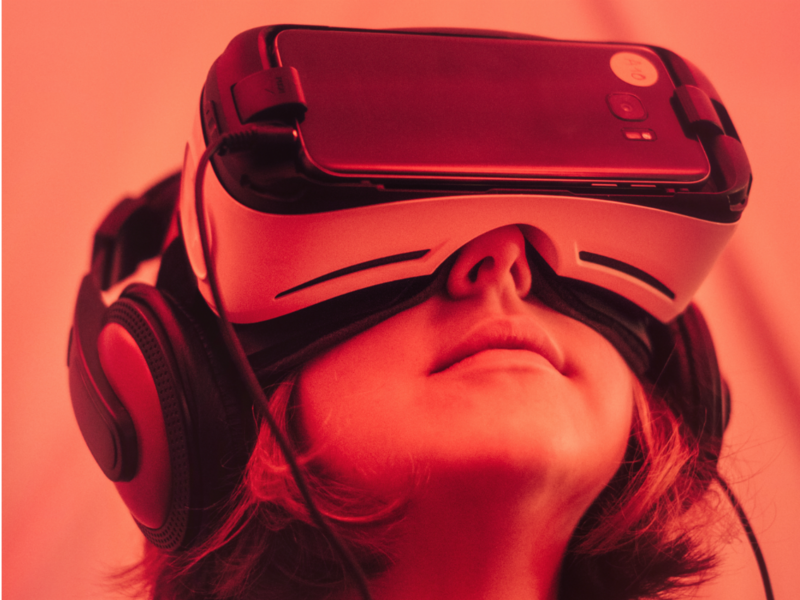 Check out this starter guide on VR, 360 video and augmented reality, the tech involved and who’s already using it. Special thanks to Rob Marks from Raw Productions for contributing to this article.